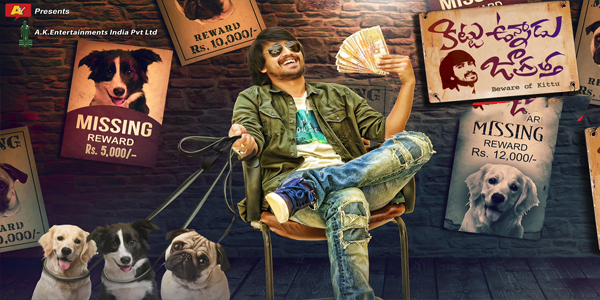 Raj Tarun's 'Kittu Unnadu Jagratha', starring Anu Emmanuel ('Majnu' fame) as female lead, is directed by Vamsi Krishna of 'Dongata' fame. The comedy entertainer also sees Snigdha in a rib-tickling role. 'KUJ' marks the return of Arbaaz Khan (Salman Khan's brother). The trailer has easily set the expectations high. There is banter, there is suspense, there are quirks, there is romance (including an accidental kiss), so on and so forth. Music-directed by Anup Rubens, 'KUJ' has dialogues by Sai Madhav Burra of 'Gopala Gopala', 'Kanche', 'Khaidi No. 150' and 'Gautamiputra Satakarni' fame. The story is from Srikanth Vissa. The cinematography is by B Rajashekar. Editing is by MR Varma. Art direction is by Avinash. Prudhviraj and Praveen are seen in other key roles.